An organic vegan permaculture project and nonprofit farm animal sanctuary focusing on education, outreach and collaboration. The Sanctuary pigs are glad that Spring is here and so are greener pastures. 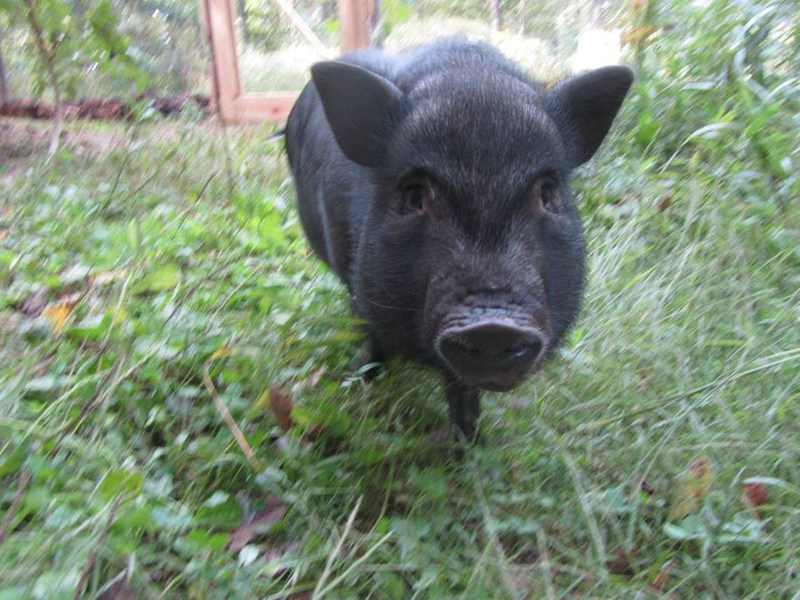 Thanks to a generous donor, the pigs have a new field to explore, root around, and of course, make new mud holes! Heather and Joe open a gate at Wild Earth for the first time back in 2013. Wild Earth is two today! From the bottom of our hearts, thank you for believing in our mission, donating your time and money and otherwise supporting our farm and sanctuary. We've had a busy 2 years, and we have a lot more on the horizon. Beans are an important staple in our diet--that's why we knew we needed to grow our own! We had a beautiful harvest of dry beans ranging in color from speckled brown to bright purple, many of them local Appalachian heirloom varieties, saved for generations in our community. Find out more at heirlooms.org. A web of life activity illustrates nature's interconnections. A recent field trip of families from our local homeschool group converged on the farm for an afternoon of permaculture fun. A "web of life" activity reinforced the idea that all species are connected and removing one animal or plant ultimately affects the entire ecosystem. The day wrapped up with a tour of our gardens, composting and rainwater harvesting systems, and some potbelly pig cuddling! 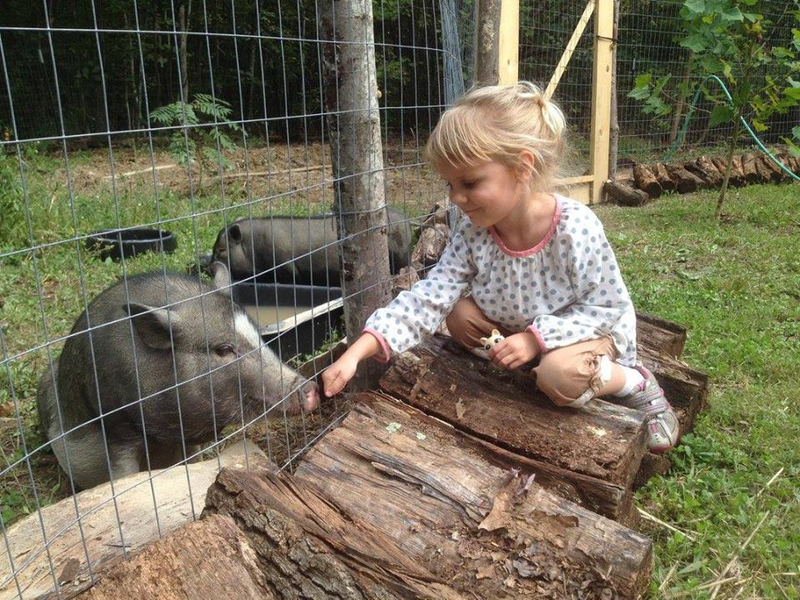 The pigs at Wild Earth meet some new friends. Welcome Henry, Stella, and Dillinger! On Wild Earth Sanctuary, animals are rescued and brought to the farm to live out their natural lives. They are not only given sanctuary for the rest of their lives, they are also offered a life lived more in line with their nature, one in which they can participate fully in the local ecosystem and contribute to its biological systems. We are also working towards a future where farmed animals, once exploited for food, can attain new purpose and bond with people and form symbiotic relationships with plants grown for food.